Over the years, I have had some interesting and exciting professional experiences as an interviewer and a writer. But nothing quite compares to my time visiting people in nursing homes. I’ve lived in six states, visited a number of facilities, and my interest hasn’t waned. Sometimes I would drive by a particular nursing home in town. I’d watch as the parking lot filled up and large families walked in. I’d see kids running in with balloons, mothers holding cakes. To me, this represented families at their best. Over time, much to the chagrin of those driving behind me, I’d actually slow down and stare at the activity. My wife, Sharon, kept encouraging me to drop in. So, I finally pulled in one day and asked to meet with the director. “Could I volunteer?” I asked him. “Do you need any part-time help?” He was happy to have me. I was happy to be there. I didn’t understand my growing interest at the time, but now I think it was God extending a sweet invitation. At various nursing homes over the years, I’ve met the nicest, most loyal people. Some family members visited every day despite their other commitments, rarely arriving empty-handed. They brought magazines, gum, laundry and special culinary treats. They were the type of people who made me realize how truly special life can be. They weren’t the only ones. A ventriloquist had the recreation room filled to capacity with residents and staff roaring with appreciation. A magician received equally high applause a week later. Experts came in to teach crafts. There was even an accomplished square dance caller who was so good he made sure the whole place – staff and volunteers alike – had a great time. I also enjoyed all of the residents, although a few still stand out more than others. There was one beautiful girl with cerebral palsy. Her family and twin sister treated her like a princess. She glowed in their presence. She always made me laugh because every time she got fed up with the medical side of things, she would throw on her headphones and block out the world by listening to her iPod. Another fellow was a former actor. He told me that he would be happy to entertain any of my Hollywood questions, provided first we spent ten minutes on the New York Mets. Because I loved speaking to him, I made a point to check and see what the Mets had done the night before. I remember one husband who really wasn’t well. His wife loved nothing more than sitting vigil by his bed, doing crossword puzzles. When I brought her a new crossword puzzle she acted as though I’d given her gold. Another woman I recall well was an avid reader of biographies. In her private room she had floor to ceiling bookcases. She knew about popes, kings, sports figures, movie stars and more. She was more interesting to talk to than any of my college professors. Sadly, a number of residents didn’t get regular visitors. In those instances I was happy to sit with them and, on what emerged as very special occasions, they invited me to pray with them. Truth be told, though most of the facilities I visited were secular, I was surprised often to see pictures of St. Therese on the walls. It seems that she was working these places with me. Having read her biography several times, I knew why. There’s joy to be found in even the littlest visits to nursing homes. 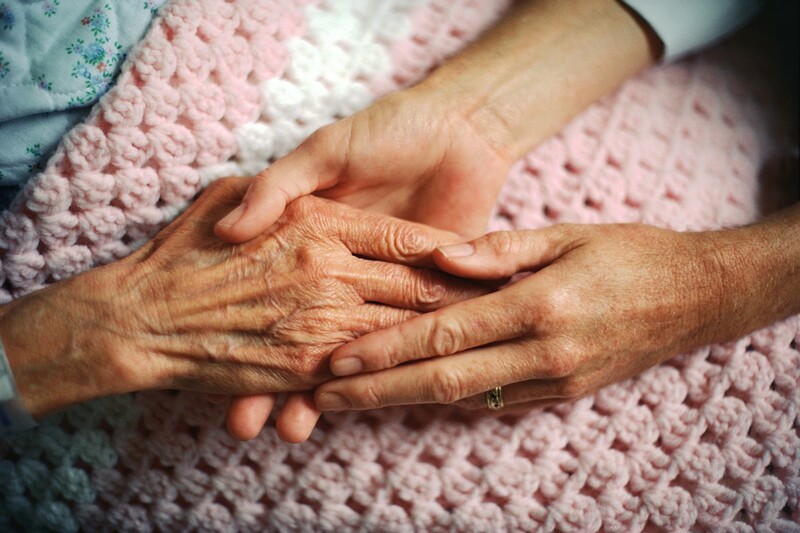 Our culture considers the sick and elderly the least among us. It twists the judgment of nations found in the Gospel of Matthew inward, answering “if you don’t do it for me” then “I’m not going to do it for you” (cf. Matthew 25: 45). Nursing homes, however, are places of hidden treasures. They invite us to feed the hungry, give drink to the thirsty, meet as well as welcome strangers and, yes, care for the ill (cf. Matthew 25:35-36). They’re kingdoms calling for selflessness, prepared for us to share with others the love inherited from our Father. Reprinted with permission from FathersForGood. org.